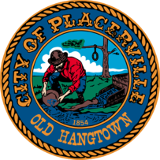 The Operations Division is the largest division within the Placerville Police Department and is led by Commander Joseph Wren with the support of four (4) Sergeants, often referred to as Watch Commanders. Commander Wren came to the Placerville Police Department in 2016 after an extensive statewide selection process. With over 20 years of law enforcement experience in a variety of different roles, Commander Wren was selected; He brings with him experience as a Homicide Investigator, SWAT member/leader, K9 Handler, and Field Training Officer, as well as leading patrol officers and specialized units as a Sergeant. In addition to his years of experience, Commander Wren has a Bachelor’s Degree in Criminal Justice, and a Master’s Degree in Business Administration.